Students in an engineering class at Bennington, Vermont’s Career Development Center are working to repair the steering and other components of a boat in order to return it to the water. Elliot Lewis, a 17-year-old senior at Mount Anthony Union High School, is one of the five students in an Engineering 2 class who is trying to restore a 15-foot, 1959 fiberglass and wooden Runabout, the Bennington Banner reports. “I started out thinking I would do the whole boat, but with time constraints, I decided to just do the lighting and steering instead,” Lewis told the news source. He added that these components needed the most work. “The steering was non-existent when I started.” Cable and pulley style steering was the standard fitment to a boat of this era. Indeed, helms and cable steering systems have come a long way since those early days of the “close-line” style of steering system with cables running down both sides of the gunwhales to the outboard. Single cable steering systems are most common in smaller boats that are propelled with an outboard. The Uflex Rotech Universal Rotary Cable Steering System, which includes helm, bezel and cable, is ideal for replacement marine boat steering systems. 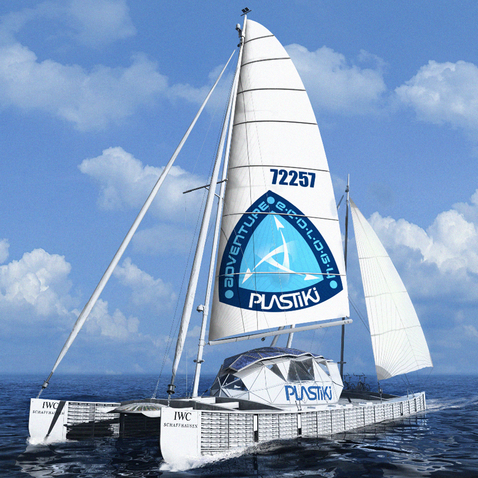 On March 20, 2010, the 60-foot sailboat “Plastiki” built entirely of recycled materials, left San Francisco Bay on an 11,000-mile trip to Sydney, Australia to raise awareness of environmental issues. At the end of April, the crew of six docked their vessel at Christmas Island – about 1,600 miles from Perth, Australia – after spending 38 consecutive days out at sea, the New York Times reports. Vessels that spend extended periods of time at sea are commonly equipped with a marine stove for preparing food during the trip. Jo Royle, captain of the Plastiki, told the news source that the 6 person crew uses just a two-burner propane stove to prepare all meals. Propane is a clean and inexpensive fuel, and the tanks can easily be filled ashore. Other common fuels for boat stoves include diesel and alcohol. Diesel stoves manufactured by Dickinson Marine are sometimes also used as a heat source, since the fuel burns at a high temperature. Most sailboat captains choose to use gimbal-mounted stoves, which are able to self level to match the heel of the boat. Ultimately boaters must first consider the size of their vessel and their access to a fuel/power source before selecting a boat stove. After a stay of several days of both; restocking the ship and renewal of the crew at Christmas Island, the Plastiki planned to embark on a 20- to 30-day voyage to Fiji. Reacting to the start of boating season on Long Island’s South Shore, marine law-enforcement officers are enforcing strict anti-sewage regulations that were enacted last November. Under the new laws, the 173 square-mile South Shore Estuary was declared a No Discharge Zone (NDZ) by the U.S. Environmental Protection Agency, the Long Island Press reports. As an NDZ, it is illegal for boaters to flush their marine toilets into the waterway. “Whether you have a marina setting or a popular anchorage, if you get 30, 50, 100 boats in a location and if everyone in the course of a holiday weekend is flushing their toilets, you can imagine that water is no longer suitable for swimming,” he added. In light of these new rules, an approved waste system for a vessel must consist of a marine toilet and a holding tank. The tank would be emptied by a pump-out station while the boat is docked, thereby preventing sewage from polluting the water and avoid legal ramifications for the boater. Jabsco manufactures marine toilets in compact sizes and larger household sizes, and also makes macerator and waste pumps available to help keep waterways clean. Cable steering systems are the most common type of boat steering mechanisms used in vessels with an outboard or stern drive for propulsion. Available cable systems include single or double cable models offered with either a rack and pinion or rotary helm unit. All cable steering systems contain a jacketed cable that connects the turning wheel through the helm unit to the outboard or drive of the boat. The helm uses a push-pull motion on the steering cable so that when the driver turns the steering wheel, steering cables control the outboard or stern drive and direct the boat. Rotary steering systems are manufactured by both Teleflex Morse and Uflex. A planetary rotary helm is the most compact and consists of three or more gears that mesh internally with the cable drum to move the helical core of the steering cable. The rugged reduction gear rotary helm is built with one or more gears that mesh externally with the drum to move the helical core of the steering cable. These rotary helms offer a compact system that will fit behind any dash or console. Rotary steering cable systems are available in both standard versions and no-feed (NFB) versions. Rack and pinion systems are also available in standard and NFB versions. This system involves a pinion gear, hobbed directly into the helm shaft and engages a rack gear in a tubular housing. The rack and pinion helm may require more space behind your boat’s console because of the long bar that acts as the rack. Rack and pinion steering is the most efficient mechanical approach to moving the steering cable. If your boat has an engine over 150 horsepower or multiple engines, you’ll want to choose an NFB or “Zerotorque” steering cable system, which is designed for higher horsepower performance applications. If you are looking for a smaller, practical system for a vessel with under 60 horsepower, the Uflex Rotech will work well.